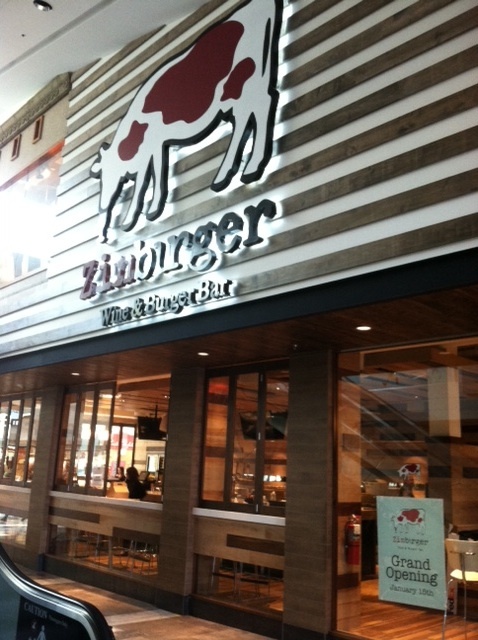 This past weekend I was invited to go to the media preview dinner at Zinburger that opened today at Garden State Plaza. 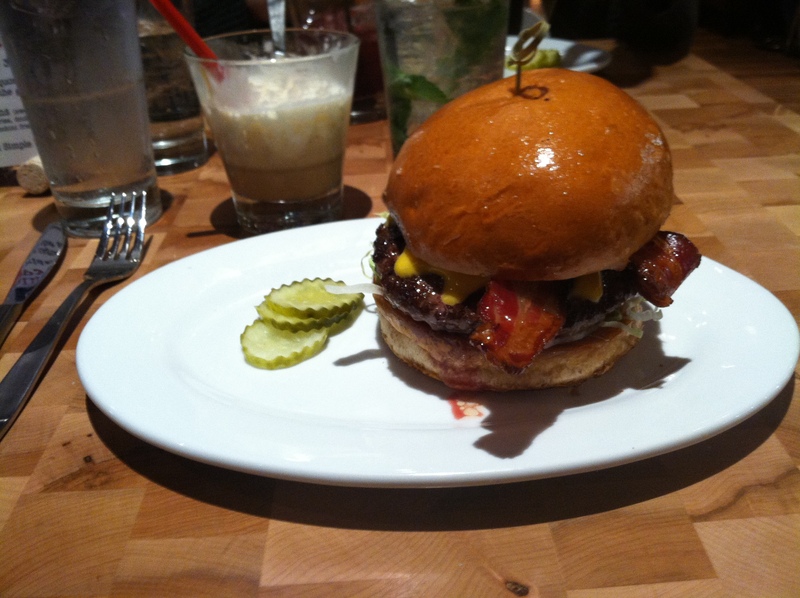 If you love burgers, shakes, and a variety of cocktails then Zinburger is the place for you. I went with my boyfriend Jason where we basically got a tasting of the menu and their cocktails. 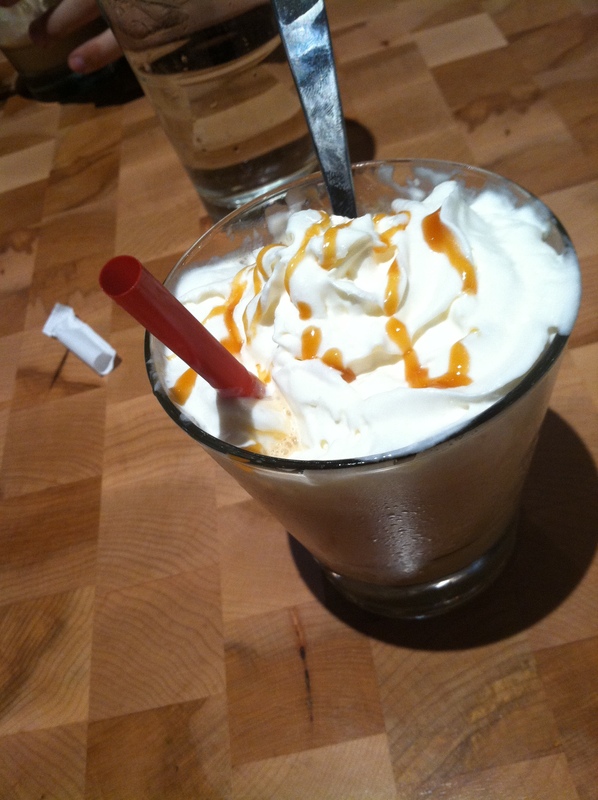 We started off with the Dulce de Leche shake which was delicious. They split it in half for us so we could each have a taste of the shake. 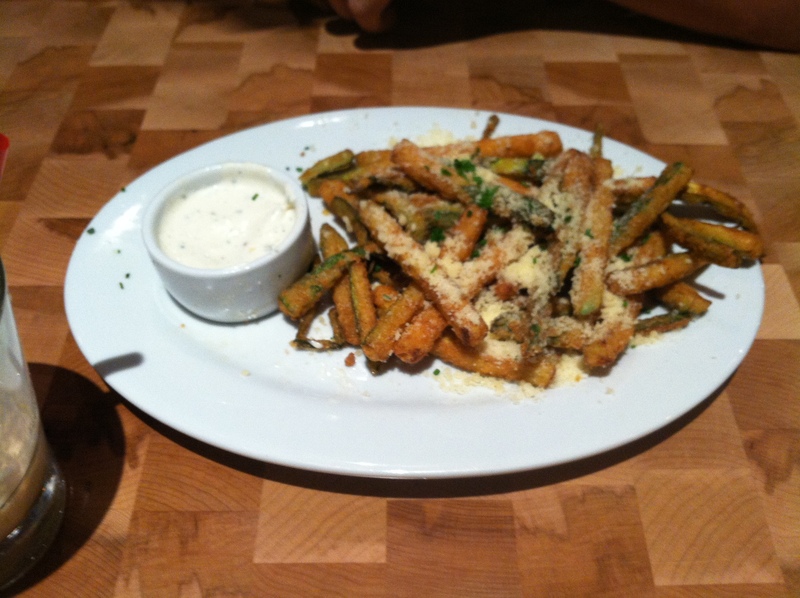 We were really hungry so we decided to start with a side of the famous Zinburger zucchini fries which were really good and flavorful. I’d recommend them or the truffle fries to anyone, the sweet potato fries at Zinburger aren’t too bad either. 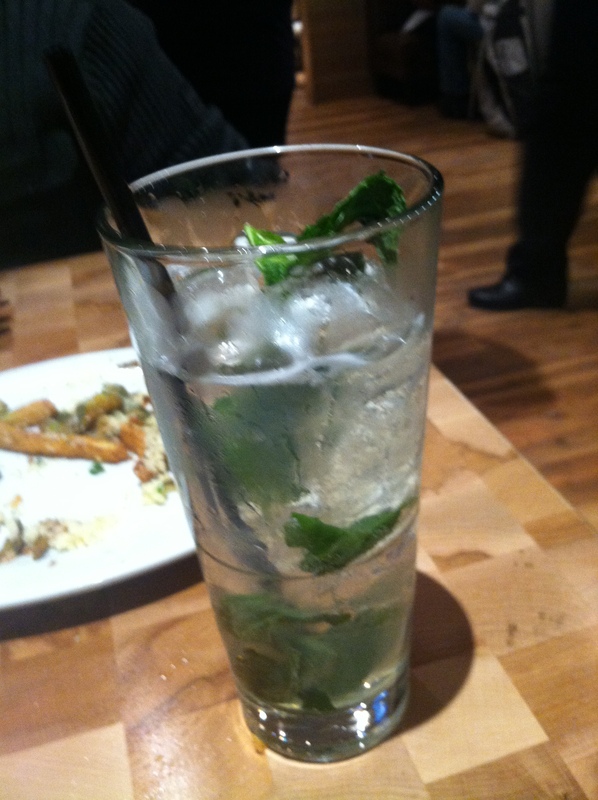 Next, we each ordered a cocktail because they all looked so great around us. Jason got the sangria & I got The Lemon Sipper. We enjoyed both of our cocktails which complimented our fries while we waited for our burgers to come out. Next, our burgers came out. Now, if you like your burger done Medium Rare then you’ll love Zinburger because they cook their burgers on the lighter side. I got the Samburger which has Applewood Smoked Bacon, American Cheese, and Thousand Island dressing on it. 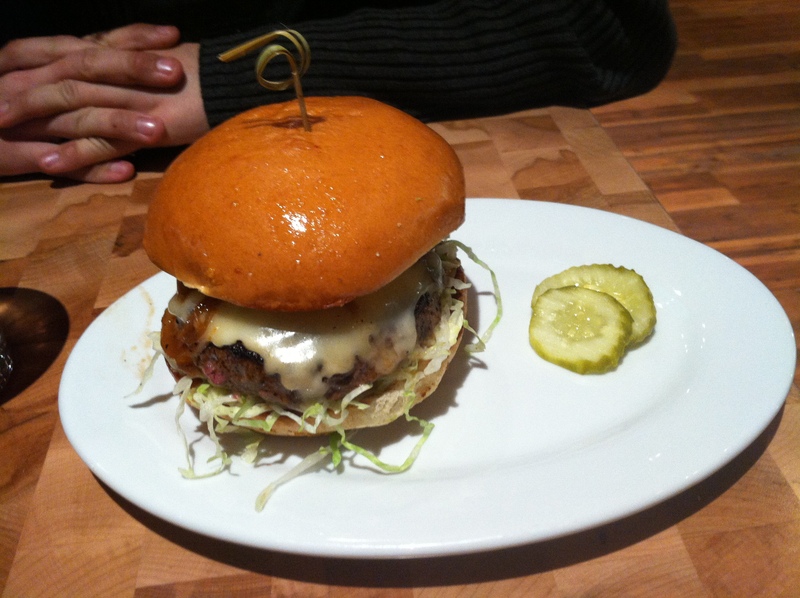 I requested mine be Kobe Beef since it’s an option at Zinburger. I ordered it Medium but next time I go I will order it Medium Well since it was still a bit read for my taste but it was delicious and huge! Jason ordered El Diablo which is topped with Fire Roasted Jalapenos, Pepperjack Cheese, Caramelized Onions, and Chipotle Mayo. Unlike me he likes his burgers Medium Rare so the red didn’t really bother him. He also enjoyed it and thought it had just enough kick to it. If you’re looking for a burger that is different then usual and options when it comes to fries then Zinburger is the place for you! The Paramus location also has a full bar which is great to watch the game. I’m definitely looking forward to more girls night out and date nights at the Paramus location since it’s so close to where I live. 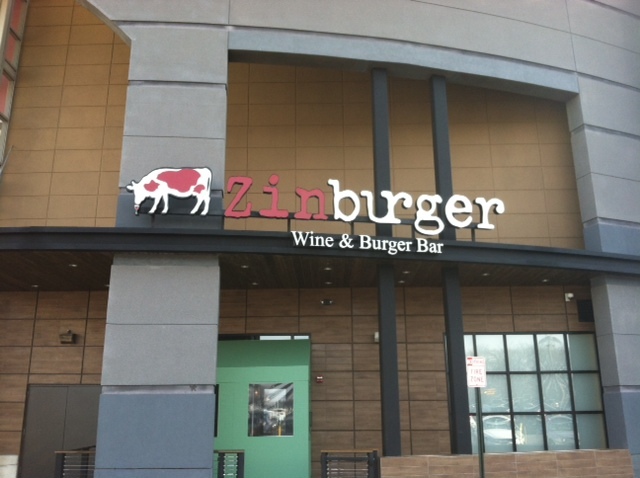 The Zinburger in Paramus is located at 1 Garden State Plaza, Space #1146, consider it your lunch/dinner option next time your shopping at the mall! 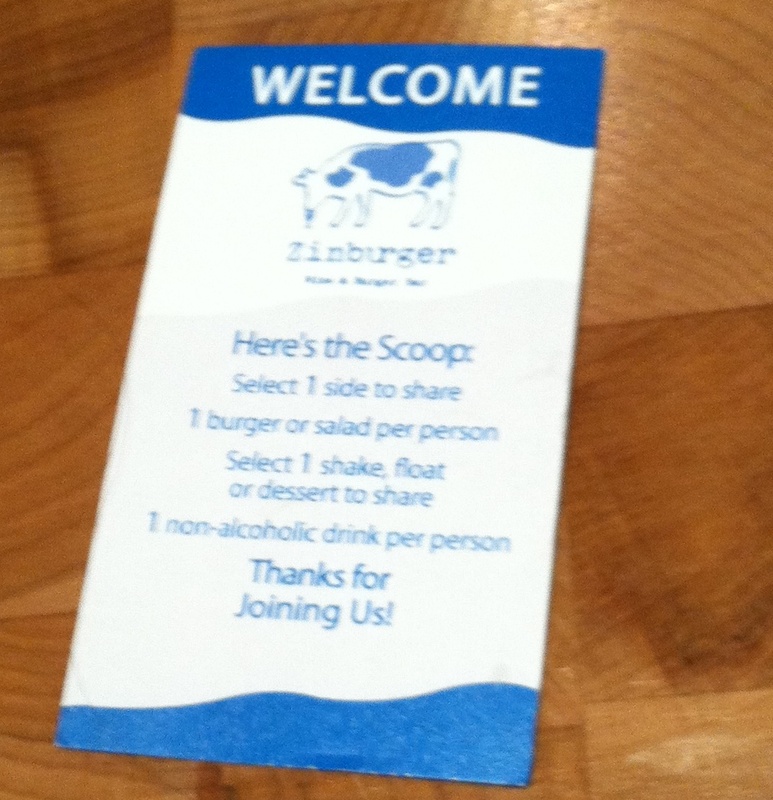 This entry was posted in Bergen County, Burgers, cheers, New Jersey, nj, Preview, Sara Monica, SCBD, SCBDExclusive, Small Chick Big Deals, yummy and tagged beer, bergen county, big deals, burgers, fries, garden state plaza, jersey, nj, paramus, scbd, shakes, small chick, small chick big deals, wine bar, zinburger by smallchickbigdeals. Bookmark the permalink.